The New Guy (and other senior year distractions) by Amy Spalding is a brilliant comedy of errors about high school journalism. 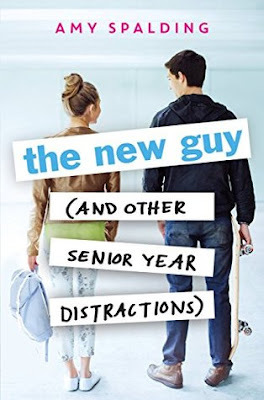 This newly released YA novel starts like a predictable romance set at a private school in LA. Jules is so focused on getting into Brown that she hasn't had time for a boyfriend. The "new guy," Alex, was once a member of a boy band with one viral hit. Unsure how to navigate the real world, Alex is drawn to super-focused Jules. Their romance seems inevitable until Jules discovers that Alex is part of a video news program which threatens the survival of her beloved school newspaper. Jules is a fine role model for teens, but she's not without flaws. She edits the school newspaper; welcomes new students like Alex; walks dogs at the animal shelter, and helps her two moms cook a healthy dinner. However, her quest for perfection backfires. Goaded by new media competition, her loyalty for the newspaper spirals out of control, threatening her relationships with her boyfriend, her best friend and her faculty advisor. As a prank war between old and new media escalates, Jules makes terrible choices and faces the consequences. Jules reminded me a bit of myself during senior year: I was the photography editor of my school newspaper, volunteered at an animal shelter and was way too stressed about getting into an Ivy League school. Most of my friends had boyfriends, but I didn't have time for boys until I was accepted to college. Although I could relate to the pressures facing Jules, I found it hard to excuse how she treated her best friend and her boyfriend. Jules's justifications sounded more like self-delusion. Her story is a fair warning to overstretched teens about perspective and priorities. The New Guy was a fun, light read with solid morals. The content was quite tame for upper YA: no drinking, drug use or hookups. When Jules decides to become sexually active, she visits a health clinic and discusses birth control with her boyfriend. The scene fitted Jules's pragmatic personality and wasn't preachy. I'd recommend this book to college-bound teens, especially to those interested in journalism. There were some good insights on the trade-offs between print and video news. The novel was well crafted and funny too. I'm looking forward to reading more books by Amy Spalding. This is her fourth young adult novel. Reviewer's Disclosure: when I couldn't find this newly released (April 5th) novel in three bookstores, I bought the ebook from Amazon. 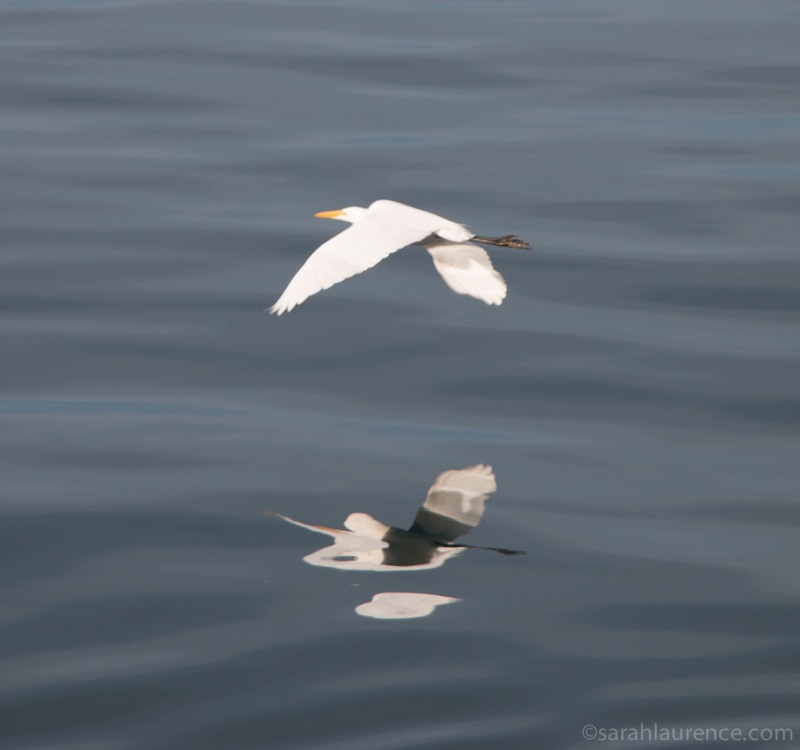 Photo of an egret over Monterey Bay from my trip to California. I like the journalism theme and old vs. new media. I can see where teens could get overly wrapped up in things like the school paper or theater productions. I sort of hope the character learns a lesson at the end?! Nice review. What an amazing egret photo! That's a brilliant photo! :-) Great review, too. Sounds like a good book. With all the angsty dystopian YA out there, this book sounds like a breath of fresh air. Love the photo! cue, the book isn't preachy, but she does realize the error of her ways by the end.